Purity. Minami utilizes a three step unique purification process, employing extensive quality control to produce ultra pure EPA & DHA rich fish oil. Minami obtains fish from sustainably managed water and is the only fish oil in the world to receive EMAS (ECo-Management and Audit Scheme) status - a very stringent European standard. Minami fish oils are processed in unique energy-efficient facilities, that recycle organic waste materials to convert the into energy to power the factory and community. 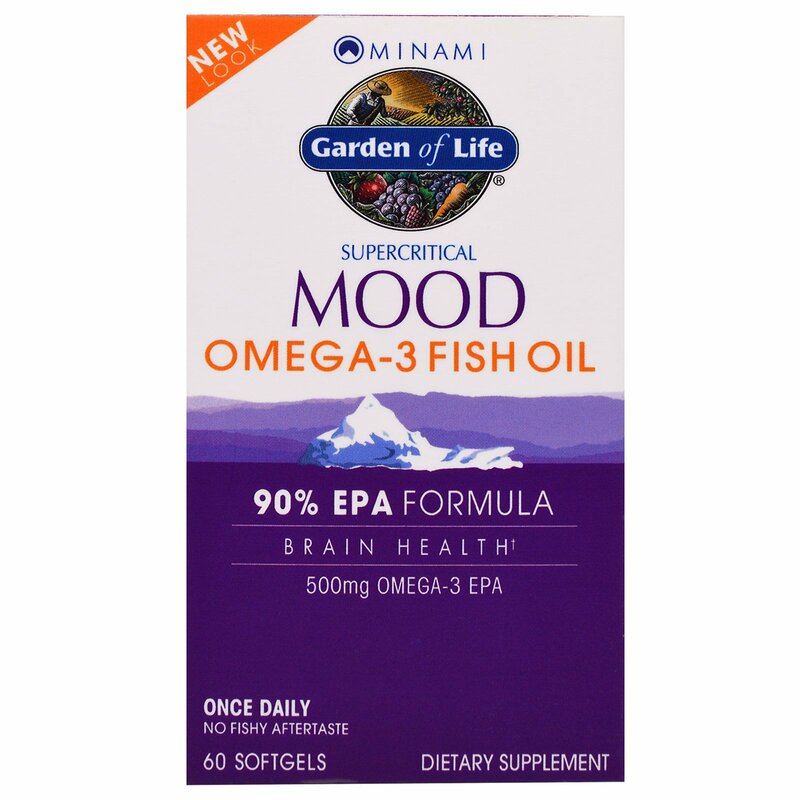 Minami Mood is a premium supplement that delivers 500 mg of Omega-3 EPA nutrition in one convenient softgel with no fishy aftertaste. 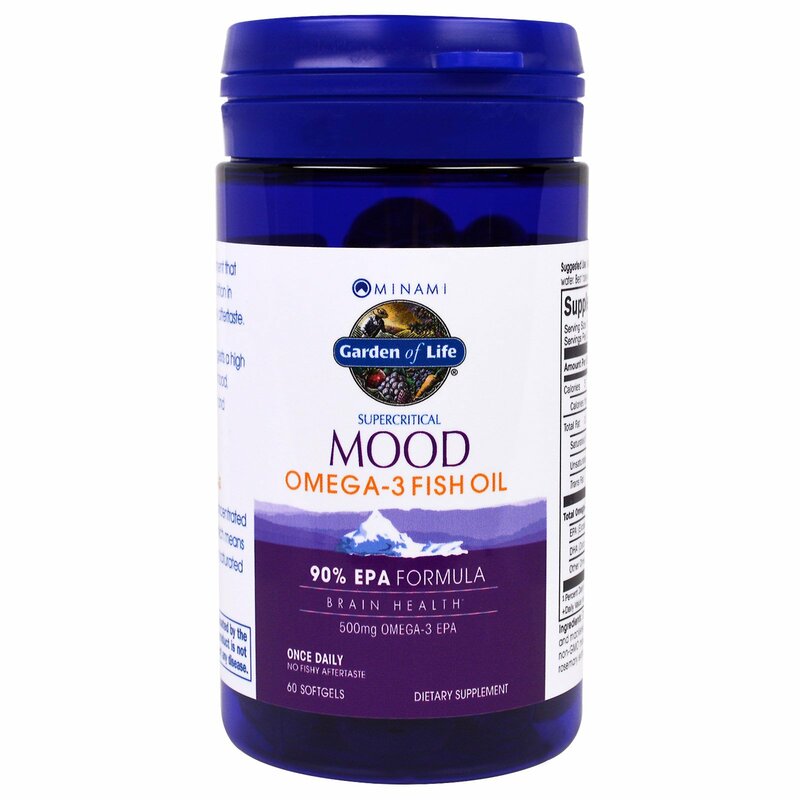 Advanced Omega-3 research suggest a high concentration of EPA can support mood, cognitive function, immune system and cardiovascular health. 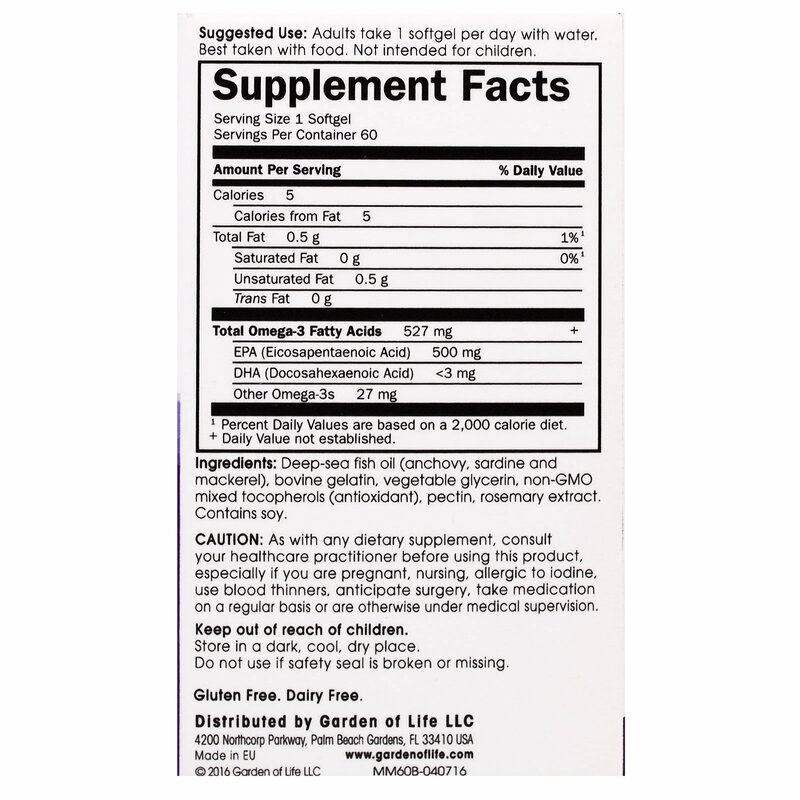 Deep-sea fish oil (anchovy, sardine and mackerel), bovine- gelatin, vegetable glycerin, non-GMO mixed tocopherols (antioxidant), pectin, rosemary extract.